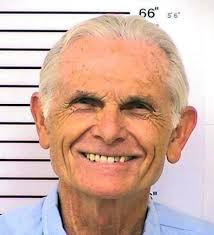 California Governor Jerry Brown has blocked parole for former Charles Manson follower and convicted murderer Bruce Davis. It is the fifth time Davis, 74, was recommended for release by a parole panel, only to see the application rejected by a state governor. The parole panel had approved his latest request for release in February. Davis was convicted in 1972 of the murders of musician Gary Hinman and stuntman Donald "Shorty" Shea in 1969 and sentenced to life in prison. 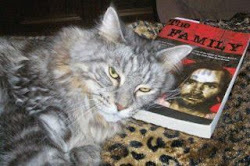 He was a follower of failed musician and cult leader Charles Manson, whose followers committed a series of brutal murders in California in the late 1960s. Davis was not accused of involvement in the notorious murder of pregnant actress Sharon Tate, the wife of director Roman Polanski, and six others by Manson followers in 1969. In his written decision outlining his reasons for refusing Davis parole, Brown acknowledged that Davis had spent 25 years in prison with no record for misconduct, and made significant efforts to reform his character. Behind bars Davis has earned a doctoral degree, converted to Christianity, and ministers to other inmates. "These cult murders have left an indelible mark on the public — the Manson Family is still feared to this day," Brown wrote, reported Associated Press. "Incredibly heinous and cruel offenses like these constitute the 'rare circumstances' in which the crime alone can justify a denial of parole." Also, Brown added, "his continued minimization of his own violence and his role in the Manson Family further shows that he remains an unreasonable risk to the public." Brown’s decision came after California authorities on Thursday denied parole—for the fourteenth time—to Manson follower Patricia Krenwinkel, 69. She argued that battered person syndrome affected her state of mind at the time of the killings. He's only 5'6"? HA HA. He must have felt tough going against Shorty with that "Bayonet"! Yeah Dave, Charlie's 5'6"? In his dreams! He's more like 5'4", and that's if he had some Big Boy Cowboy Boots on. Size 3. LOL. They've all aged horribly, which is to be expected given their lifestyles. They all look like goblins. Dave that's a good point! I was thinking about that movie Shawshank too. If you've been in prison almost all of your adult life, how in the world would you cope on the outside?? Suddenly you'd have to pay rent every month, buy groceries, pay bills, etc. They don't have to do any of that in prison. Except of course that it isn't you, you haven't spent nearly 50 years in jail and therefore have no idea of the longing that might be felt by someone that has been in for approaching that length of time. People often talk about how different the world is from when convicts first went in but so what ? People who have never been in jail can have problems adapting to the changing world ! We are a changeable and adaptable species; we are superb at reacting at the drop of a hat. Also, when you think about it, there are older refugees that come from various war torn regions or places where they've been persecuted, into the West and find that they are in a totally different world. They learn to adapt or they stick with essentially the old ways, but either way, for the most part, they cope. If you've been in prison almost all of your adult life, how in the world would you cope on the outside?? I'd be inclined to let the convict coming out worry about that. They'll find a way. They'll have no choice. "quadracoon"?? WTF is wrong with you? If you don't like Grim's blogging style, that's cool. We all have people who don't like us, including me. But hey... state your opinion without the racial insults. I've just seen SAG/Dave1971's last post. Shame he's not around anymore, there's much I would have had to say to him !